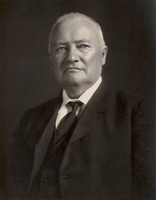 RUBIDGE, FREDERICK PRESTON, surveyor, office holder, and architect; b. 10 March 1806 in London, England, son of Robert Rubidge and Eleanor —; m. 13 Feb. 1836 Jane Georgina Boswell of Cobourg, Upper Canada, and they had six daughters and two sons; d. 16 Aug. 1897 in Montreal. 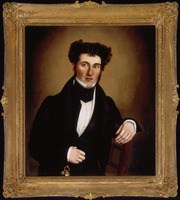 About 1825 Frederick Preston Rubidge came to Upper Canada, to which his half-brother Charles* had emigrated several years before. He settled in Cobourg where he studied surveying, probably with Samuel Street Wilmot. Rubidge qualified as a deputy provincial surveyor on 31 Jan. 1831. In the next few years he completed a number of surveys, including Dummer Township (1831), Howe Island (1833), and town plots for Trenton and Fredericksburgh (1834). He also became involved with public works. In 1833 he surveyed the site for a lock at Bobcaygeon and prepared the design. Later that year and again in 1835 he conducted surveys under the direction of Nicol Hugh Baird* for a canal between the Bay of Quinte and Lake Simcoe. Then in 1837 he worked under the supervision of Baird and Hamilton Hartley Killaly* on a survey of the Welland Canal. When the Board of Works (after 1846 the Department of Public Works) was reorganized in 1841 as a result of the union of the Canadas, Rubidge was one of the first to be taken on staff. From December he was employed as a draftsman and during the next four years he seems to have been primarily engaged on inside duties and only occasionally on surveys. None the less, he quickly proved his worth and in 1846 Killaly, the board’s chairman, reported that he considered Rubidge “indispensable.” That year Rubidge’s duties were expanded to include the supervision of works under construction. Initially, he was responsible for a series of bridges, roads, and piers in Lower Canada. In 1847 he became increasingly concerned with public buildings. By 1851 he had been given the title of assistant engineer and draftsman. 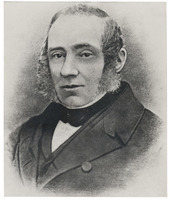 Although he retained the formal title of assistant engineer for the rest of his career, by the end of the 1850s he was referred to as architect for the department. His time was almost entirely taken up with reviewing plans and estimates, with overseeing the work of individuals assigned to supervise construction, and with the fitting up and repair of buildings. In 1850 and 1851 his attention was devoted mainly to equipping public buildings for the use of the legislature and of government departments, first in Toronto and then in Quebec City. 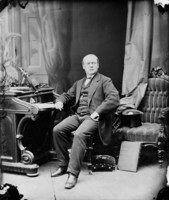 Later in the decade his notable assignments included the Montreal court-house (1855–57), a new custom-house in Quebec City (1856–58), and a custom-house in Kingston (1856–58) as well as numerous lesser buildings. Rubidge did prepare plans and specifications for a number of projects. In 1851 he designed and oversaw work for the enlargement of Spencer Wood as a new residence for the governor general in Quebec City. Two years later he made the plans for an extension of the Dufferin Terrace there. Departmental reports also credit him with the design of the custom-house in Hamilton in 1858 [see Frederick James Rastrick]. The following year he prepared standard plans for a series of court-houses built in Lower Canada between 1859 and 1863. The single most important project with which Rubidge was associated was the design and construction of public buildings in Ottawa. In 1856 he estimated the cost of projected public buildings when a new capital was selected for the province of Canada. Three years later, he and Samuel Keefer*, the deputy commissioner of Public Works, reported on designs submitted in the architectural competition for buildings to be erected in Ottawa. They differed in their views. For the Parliament Buildings, Rubidge felt that the design by Thomas Fuller and Chilion Jones was excellent in terms of exterior beauty and internal arrangements but too expensive and unsafe, whereas Keefer favoured it. Rubidge preferred the same architects’ designs for the departmental buildings to those of Thomas Stent and Augustus Laver, but Keefer disagreed. None of the designs for government house was thought suitable by Rubidge. As deputy commissioner, Keefer submitted their report to the governor general, Sir Edmund Walker Head*, with a strong argument in favour of his own choices. He noted the differences between himself and the “department’s architect” and regretted that Rubidge had been forced to go to Quebec City to attend to works in progress there. Fuller and Jones took first place for the Parliament Buildings, Stent and Laver for the departmental buildings. Rubidge had little to do with the construction of the Ottawa buildings until May 1863 when he became superintendent of public buildings. He was in charge of construction for about a year before being replaced. In February 1865 he was appointed to advise the crown counsels on professional questions before the arbitrators deciding the claims of the architects and builders (including Thomas McGreevy). The appointment occupied all of his spare time for about 18 months. After his replacement on the Parliament Buildings, Rubidge was chosen to design and oversee improvements to Rideau Hall, the former home in Ottawa of Thomas McKay*, now to be used as the residence of the governor general of Canada. The main portion of this work was the construction of a new wing adding 49 rooms to the original house. The old house was also refinished and a number of new outbuildings were constructed. After this burst of activity during the 1860s, the remaining five years of Rubidge’s career followed the pattern of the previous decade. During 1867 he oversaw repairs to the old parliament buildings in Toronto to ready them once again for legislative use by the Ontario government. In 1869 and 1870 he was involved with repairs and improvements to the post offices and custom-houses in Hamilton and Kingston. There were also frequent requests for alterations to buildings from the barracks service of the Department of Militia and Defence. In 1870 and 1871 he was working on improvements to the emigrant sheds in Toronto. 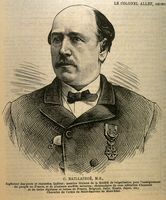 Rubidge was forced to retire in 1872 after more than 30 years of service. The new federal superannuation act provided for the retirement of public servants at age 65 and Rubidge was past that age. He complained bitterly that he arrived at his office one morning to find a letter informing him that his services were no longer required. There had been no warning and there was no response to his complaint. AO, MS 393; RG 1, CB-1, boxes 6, 15, 38–39. NA, RG 11, A1, 71; A2, 93, 99–106; B1(a), 291, 293, 301, 307, 310–14, 318–20, 342, 425–26, 429–31, 443–45. Can., Prov. of, Dept. of Public Works, Documents relating to the construction of the parliamentary and departmental buildings at Ottawa (Quebec, 1862); Legislative Assembly, App. to the journals, 1846, app.YY; 1852–53, app.FFFF. The valley of the Trent, ed. and intro. E. C. Guillet (Toronto, 1957). DCB, vol.7 (biog. of N. H. Baird). Cobourg: early days and modern times, ed. J. R. Spilsbury (Cobourg, Ont., 1981), 21. A. J. H. Richardson et al., Quebec City: architects, artisans and builders (Ottawa, 1984), 502. Assoc. of Ontario Land Surveyors, Annual report (Toronto), 1932: 86–88. John Witham, “RUBIDGE, FREDERICK PRESTON,” in Dictionary of Canadian Biography, vol. 12, University of Toronto/Université Laval, 2003–, accessed April 20, 2019, http://www.biographi.ca/en/bio/rubidge_frederick_preston_12E.html.